Among the sprawling metropolis that is Washington DC lie some wonderful chocolate shops just waiting to give you something delectable to think of other than politics. Take a break from touring famous landmarks and stop into one of these stores for a sweet treat or two, you definitely deserve it. One tragic day two sisters lost their father unexpectedly; what ensued was surprisingly sweet. Their heartbreaking loss forged their life long symbiotic relationship and a bit of inheritance allowed them to open a small chocolate shop in Washington DC. Almost 35 years later, their small shop is still thriving. 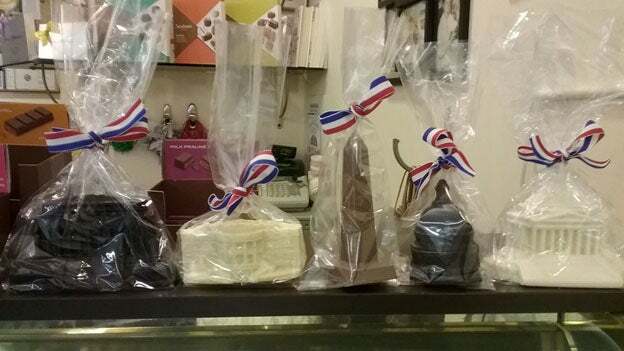 Loyal customers, who say the place feels like home and the staff like family, come from far and wide for the wide variety of gourmet chocolates. While the sisters make some chocolates in house, they also sell treats that come from everywhere between Belgium and Missouri. Stop by to try their passionfruit, strawberry fields, or rum caramel truffles, but beware, parking on the busy street where this shop is located is at times a bit challenging. Location: 1130 Connecticut Avenue, Washington D.C.
No tragic story behind the creation of Fleurir, just a man with a desire to create the best chocolates in the world. To hear the customers rave about his confections, he might just be on his way to doing just that. 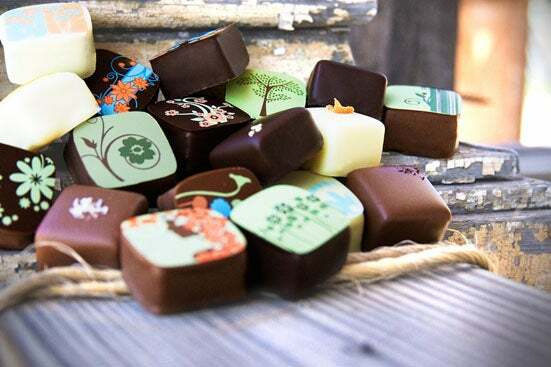 All chocolates are small batch creations that aim to have exceptionally well-balanced flavor. Feast your eyes on the adorable designs before you let your mouth take over the fun. The shop, based in Arlington rather than D.C. proper, has more of a utilitarian feel rather than old timey chocolate shop, but the candy produced there more than makes up for the lack of warm fuzzies. Stop in for a taste of the carrot cake, wattle seed toffee, and raspberry truffles or pick up some of the chocolate bars named for and inspired by the geographic area of D.C. that they represent. Welcome to The Chocolate House, previously known as Cocova and before that as Biagio Fine Chocolate and before that as Sticky Fingers. The name might have changed a bit over the last decade, but the mission hasn’t wavered a bit: source and promote fine quality sustainable chocolate to help customers taste some of the best chocolate the world has to offer. The gallery and tasting room offers a feast for all senses: 300 unique chocolate bars and confections from artisan chocolate makers and chocolatiers from around the world, art from local D.C. artists on the walls, and samples of chocolates for all tastes available everywhere in the store. Top all of that with a great atmosphere and wonderful hospitality and you have the makings of a shop people come back to again and again. Stop by for a nibble and to buy some chocolate or come for one of their very popular truffle making classes. Back in 2006, Jason Andelman, Culinary Institute of America graduate and professional pastry chef, started a little chocolate shop to sell chocolates with big flavors. His beautiful chocolates and caramels are melt-in-your-mouth delectable and feature cute decorations that describe the various flavors the bonbons contain. All the confections are made on site in small batches with only fresh, and, when possible, locally sourced ingredients. Stop by to try the fleur de sel caramels, the raspberry or chile truffles, or even the 83% bittersweet chocolate, odds are, you’ll be back for seconds. Since the chocolates are all made at the Arlington location, you just might luck out and see the chocolatiers at work. 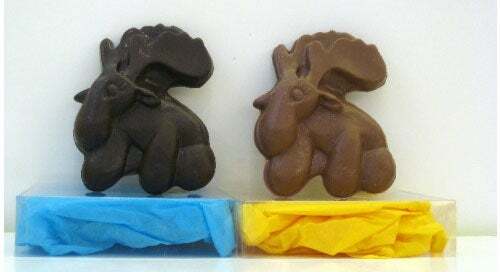 We hesitated to include Chocolate Moose in our best chocolate shops in D.C. roundup because chocolate is only one of the things they sell in their eclectically stocked shop, but locals rave about this place and so we felt compelled to tell our readers about it. Pop into this store and prepare to lose your mind. They sell everything from tacky trinkets and hilarious cards to delectable Leonidas chocolates imported from Belgium. Whether you’re here to get yourself a little treat or to find a gift for someone you love, you’ll undoubtedly find something here you want to get. Customers rave about the chocolates which are sold by the pound. Stop in to taste the ultimate chocolate covered malted milk ball, or some chocolate covered bacon. Location: 1743 L Street NW, Washington D.C.